So, I heard these are amazing and delicious, but I didn’t even get to try one. 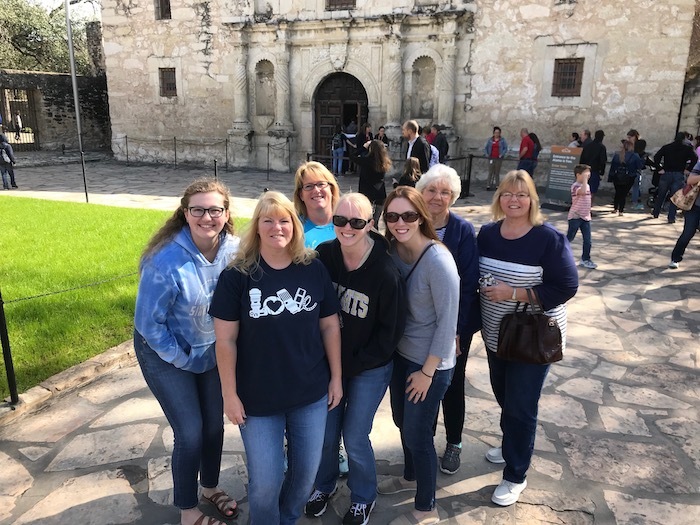 A few weeks ago, all the women in my family took a girl’s trip to San Antonio. While we were gone, Justin made some banana muffins for the boys, and they were a hit! In fact, they were such a hit there weren’t any left by the time we got home. Although, I’m not surprised because sweet breakfast foods go fast in our house. Especially when they contain bananas. We go through so many bananas in our house. As with most recipes that contain bananas, it’s better if you use ones that are overripe and turning brown. When I take the boys to the grocery store, they often ask to buy two bunches of bananas, one to eat with breakfast, and one to let over-ripen to make banana bread or another banana recipe such as these muffins. Preheat the oven to 375F and line a muffin pan. We like to use our silicone liners to prevent the waste of single-use liners. In a large mixing bowl, whisk together the flour, baking powder, baking soda, salt, and cinnamon. In another mixing bowl, combine the egg, brown sugar, vanilla extract, mashed bananas, and applesauce. Pour the wet ingredients into the dry ingredients and gently stir until fully combined, without mixing more than necessary. Use a cookie scoop or a spoon to fill each muffin cup about 2/3 full. In a small mixing bowl, prepare the streusel by combining the brown sugar, flour, and cinnamon. Use a pastry blender to cut in the butter. Sprinkle the streusel over the muffins then bake for 20-25 minutes, until a toothpick comes out clean. Meanwhile, whisk together the powdered sugar, milk, and vanilla extract to make the icing. Once the muffins have cooked and cooled slightly, drizzle with the vanilla icing. These look so good – I’m a big fan of bananas too! Will have to give these a go – I think they’d be a hit in my house! If you love bananas, then these are perfect! My boys loved them and ask for us to make them again and again. First what a fun trip with your family! Glad you all had a great time! My son has a huge sweet tooth and loves to cook – thinking I will have to print this 🙂 and have him make them. Oh and the silicone cups those are too cool… been a long time since I have seriously baked. We had such a fun time! You should try these with your son if he loves to cook, too. And yes, the silicone cups are great!! The boys couldn’t stop talking about them! Banana anything is gone so quickly in this house. These looked great. I am not a banana fan, but my mother loves them. She has one once a day. I will have to make these for her, for our Sunday Brunch. My boys have at least one banana every day as well! It’s a great brunch recipe for sure. I totally have bought two batches of bananas before for the exact same reasons. These sound delicious! Right?! They are so versatile in so many recipes, it’s always worth it to grab two bunches of bananas. I agree, the vanilla icing is the perfect addition to muffins like this! They look and sound delicious! NO wonder they were quickly eaten up. My children also love bananas I am sure they’ll love these muffins! I know, I really wish I could have tried one, but the boys assured me they were amazing! It only do I love bananas, but it’s one of those rare foods everyone in my house enjoys, too! I might try to make these today for tomorrow morning. Yay! It’s so true, bananas are one of the things we all love here, too. I hope you all enjoy the muffins! I need to make muffins more often. We’ve only tried a few so far. But I hope your family likes these ones! This looks amazing! I love making muffins, especially with icing drizzled on top. These are ones that I will definitely have to try! Right?! Icing makes everything better! Enjoy!